THE INTERNATIONAL BESTSELLING AUTHOR Detective DD Warren and Flora Dane are in a race against time to save a young girl's life - or bring her to justice. 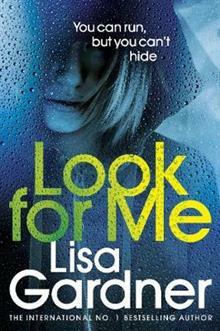 A nail-biting thriller by number one bestselling author, Lisa Gardner. You won't be able to put it down.' Shari Lapena, author... read full description below. In Sunday Times and New York Times No 1 bestselling author Lisa Gardner's latest nail-biting thriller, Detective DD Warren and Find Her's Flora Dane return in a race against time to save a young girl's life - or bring her to justice.A family home has become a crime scene. Five people are involved- four of them have been savagely murdered; one - a sixteen-year-old girl - is missing. Was she lucky to have escaped? Or is her absence evidence of something sinister?Detective D. D. Warren is on the case, as is survivor-turned-avenger Flora Dane. Seeking different types of justice, they must make sense of the clues left behind by a young woman who, as victim or suspect, is silently pleading, Look for me.